AppleAAPL 0.25% closed Friday at $645.57. It will open Monday around $92. Nothing’s changed about the business, and Apple remains the world’s most valuable company by market capitalization. But Monday will the first day Apple trades after its seven-for-one stock split. The company announced plans for the stock split – its first since 2005 — on April 23, alongside a $30 billion increase to its share buyback plan and a bigger dividend. Since then, the stock has risen 22%. A stock split increases the number of shares outstanding while reducing the price of each share. The move doesn’t affect the value of the company, but it does put the price of the shares within reach of more individual investors, potentially boosting the demand for the stock. This may be especially true at Apple, a recognized name among retail investors whose share price has not traded below $100 since 2009. The share-price gains also reflect anticipation about Apple’s new products expected out in the second half of 2014. 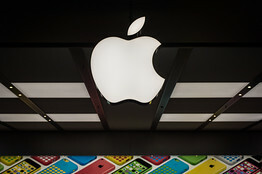 Apple Chief Executive Tim Cook has promised that the company will break into new product categories later this year. It’s been four years since Apple introduced a breakthrough device – the iPad. The five devices have been listed on the DISA’s Approved Products List, which can be used as reference by the U.S. Armed Forces and U.S. government agencies, Samsung said. 've done a lot of advertising with Twitter, - so far the most successful was promoted accounts. Just make sure you pick what countries you want you account promoted in.